Amit Khanna, the executive producer of Buniyaad, which triggered memories of Partition in both India and Pakistan, recalls how the 1987 drama was created. When Buniyaad was telecast on Doordarshan in 1987, it set the benchmark for TV dramas in India; except a scanty few, no TV saga (or soap operas as they are popularly known) have since breached that mark. The story of how Buniyaad happened begins in 1984. I had shot India’s first music videos featuring Nazia and Zoheb Hassan (Young Tarang), which was then telecast as a sponsored programme. This created waves in the press. Soon after, I got a call from my friend, the director Ramesh Sippy, who was then filming Sagar. Ramesh said he wanted to meet me urgently and asked if I could drop in on his sets in Mumbai’s Madh Island. He said he wanted to start a video and TV division for Sippy Films and wanted me to be part of it. I had been friendly with Ramesh and his father G.P. Sippy since 1969 so I readily agreed. Sippy senior was the then president of the Film & TV Producers Guild and I was one of the vice presidents. We would often travel to Delhi to meet with government officials. This was the time when the Ministry of Information and Broadcasting (I&B) had decided to open TV programme production to private producers. In one such meeting, we were asked by S.S. Gill, the then I&B secretary, and director general of Doordarshan Harish Khanna whether we would be interested in producing programmes for Doordarshan. We readily agreed and I said I will deliver a few pilots in a few weeks. DD’s top brass said that they also wanted us to take up another project which had been proposed to them. After the tremendous success of Hum Log, its writer had submitted a story line based on the Partition of India. We were offered that synopsis. We agreed and on our return to Mumbai, we met up with Ramesh who sounded equally enthusiastic. Ramesh asked me to be the executive producer and put the project together. Manohar Shyam Joshi, whom I had met casually in his avatar as a journalist, was called to Bombay (as the city was then known). Meanwhile, I shot a few pilots out of which two Chhapte Chhapte (directed by then newcomer Sudhir Mishra) and Apne Aap (a do-it-yourself programme) were approved and this marked Sippy Films’s entry in television. The year after, in 1985, after Ramesh finished Sagar and I finished my first directorial film Sheeshay Ka Ghar, we go down to putting Buniyaad together. Manohar Shyam Joshi would come for extended periods to Bombay and Ramesh and I would sit with him for hours every day at Ramesh’s Walkeshwar home, thrashing out the storyline of the proposed 104 episodes. Early in these discussions, we decided to get subject experts who could give us insight in the life and times of pre-Partition Punjab. Novelist Krishna Sobti and scholar Pushpesh Pant were drafted in as consultants. In about six months, we had the story worked out and Joshiji simultaneously started writing the screenplay of the first twenty six episodes. The sheer canvas of this epic was daunting. It was to be a story across generations. However to the credit of the writer, not only had he worked out the characters in the minutest detail, but had crafted a riveting storyline. The saga of an upper middle class Punjabi family from Lahore and its four generations spanning over 50 years from the 1920s to the 1950s had many interesting sub plots. What made the serial special was the attention paid to depicting the life and times of the principal protagonists. The décor, costumes, food, songs and the language was as authentic as could be in a work of fiction. Ramesh too invested his craftsmanship and skills to create the massive saga down to the smallest detail. All the actors, from the experienced to the novices, excelled in their performances. The series was shot like a film. There was a 200-strong unit which virtually lived at Film City in north Bombay for 15 months. There was a kitchen where a team of cooks would make three delicious meals every day. There was constant activity as new scenes arrived from the writers, new actors were cast and then all this was shot with precision. Sippy senior, Ramesh, his brother Vijay and I decided that since Sippy Films were tuned to making mega-budget movies, I would put together a cast and crew that was more tuned to the limited budgets of TV. Naturally, I looked towards my colleagues from art cinema. K.K. Mahajan, known for films such as Bhuvan Shome, Uski Roti and Rajnigandha was signed up as the cinematographer. We retained the Sippy Films veteran editor M.S. Shinde and zeroed in on the master art director Sudhendhu Roy for art direction. India’s first Hollywood-trained make up man Sarosh Mody was brought in and the well known designer Xerxes Desai was given charge of costumes. I roped in a talented young composer Uday Mazumdar for the music. I wrote the lyrics. Then came the crucial question of casting. For the lead characters of Haveli Ram and Rajjo, I suggested the names of Alok Nath and Aneeta Kanwar who after a screen test were approved by Ramesh. Kawaljeet, who was working in Chhapte Chhapte, was selected to for role of Satbeer. Girija Shanker was chosen to play Rally Ram – the two other sons were to be Dilip Tahil and Mazhar Khan. Manohar Shyam Joshi recommended some of his Hum Log actors Vinod Nagpal, Rajesh Puri, Abhinav Chaturvedi, S.M. Zaheer, Kamia Malhotra, Mehar Mittal and Mangal Dhillon. Soni Razdan, Neena Gupta, Asha Sachdev, Krutika Desai, Ketaki Dave and some other artistes were also selected. The last one to come on board was my friend Kiran Juneja (now Ramesh’s wife). It was a cracking crew with some excellent actors on board. Never before had a television serial assembled such a high quality team. When the sets were erected at Bombay’s Film City, all of us were impressed with the realistic feel. As the first day of shooting neared, Ramesh suddenly decided that he wanted to shoot on film. After much discussion, he agreed to shoot on 16mm. I asked Manmohan Shetty of Adlabs to agree to give us dailies (rush prints) which was very unusual for India then. There were massive logistics involved. I was very confident that we were on to something phenomenal. When Joshiji came with the screenplay of the first eight episodes, we were sure we had a winner on our hand. This was not merely a story of a family with a backdrop of Partition but a careful study of the social, economic and cultural life of a nation over across three generations. In the best traditions of TV soaps, there were many characters, each with her own back story and subplots deftly woven in a tapestry of human emotions and history. It was time to find a sponsor – Godrej came on board. The deal for 104 episodes was the biggest signed till then on Indian television. From the very first telecast, encomiums started pouring in from across the country. For many who had been born in the 1950s and later, Partition was a vague story haltingly told in history textbooks or by family elders. The way the Partition and the events before and after the cataclysmic event were depicted was the first time many generations saw the immensity of its impact on the people and the country. Ramesh and his team captured the agony and ecstasy of independence and the social conflict of of two generations. For the older viewers who had been a part of the this massive transformation, it was a trip down the memory lane. No wonder the serial became a must watch for millions across India (and also Pakistan). Buniyaad became a craze in Pakistan too. We got rave reviews in newspapers and were featured in various publications in India and abroad. I remember when we were shooting the last episode, India Today, Sunday magazine and even the BBC did special features on the serial. In the years to come, scholars would study its impact. No doubt, mythologicals like Ramayana and Mahabharata had a far reaching impact on Indian social and cultural milieu but the standard set by Buniyaad has never been recreated. 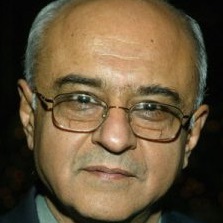 Amit Khanna is a film producer, director and lyricist. He was the executive producer of Buniyaad.